Belljar café was born on December 18, 2010 to attentive parents Angela and Sam. They chose a residential site in southern Newtown in order to create a “hidden gem” for locals. 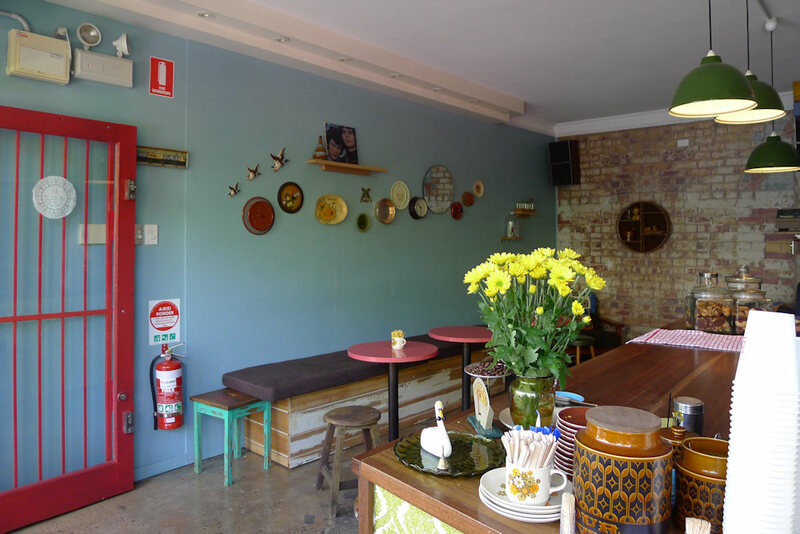 The café is small and looks like a funked up grannie’s lounge room. A set of flying duck placards are posted to the wall and art deco coffee and tea jars sit on the counter. The menu was limited due to the time of year (early January) and the atmosphere was more peaceful than most cafés close by on King Street. Bottles of ice cold water and glasses were brought to our table straight away – always a nice touch and a good start to any café experience. 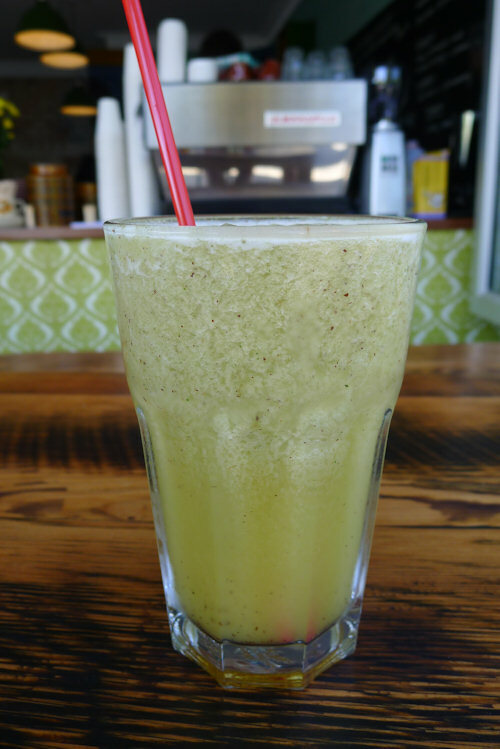 The kiwi, pineapple & mint frappe ($5.50) had not been made with fresh pineapple which was noticeable straight away. The kiwi wasn’t very strong but plenty of fresh mint had been added. Thankfully it was served ice cold and with a smile. 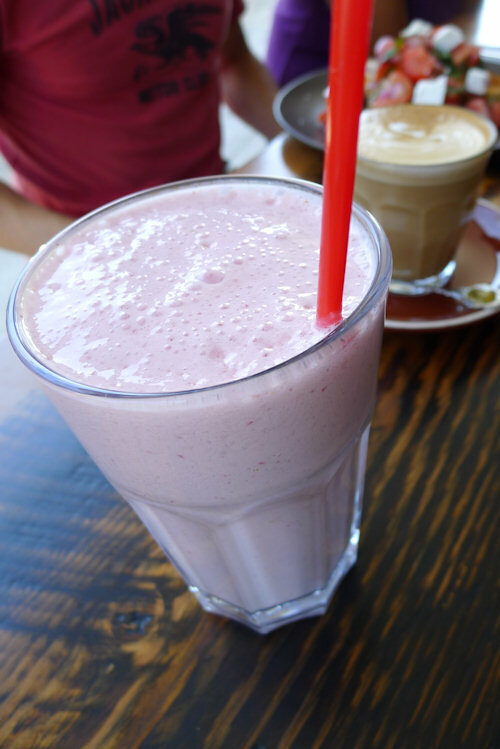 Our guest Sebastian tried the mixed berry frappe ($5.50). It was refreshing and delicious. The other members in our group were jealous and wished they had ordered this drink. Angela the co-owner admitted that this is one of her favourites on the menu. 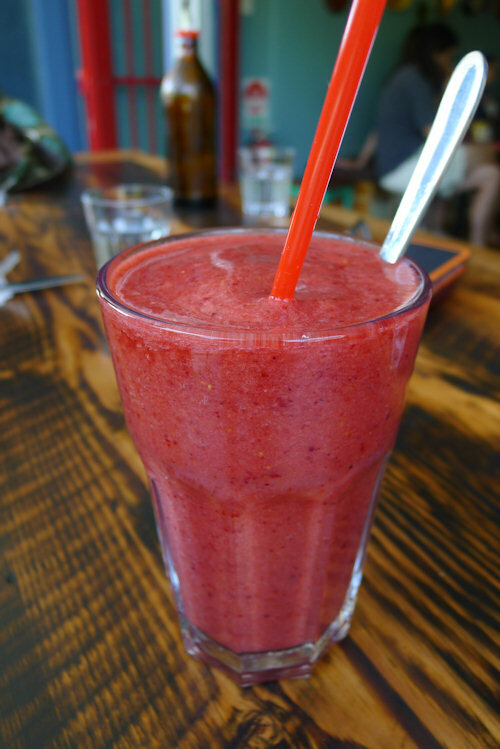 Our guest Audrey ordered the strawberry smoothie ($5.50). She enjoyed the flavour and found it surprisingly light. Sebastian, a self proclaimed coffee snob was happy to report that his cafe latte ($3) made from a Little Marionette coffee blend met his high standards. Andrew, our resident coffee drinker couldn’t have asked more from his coffee. 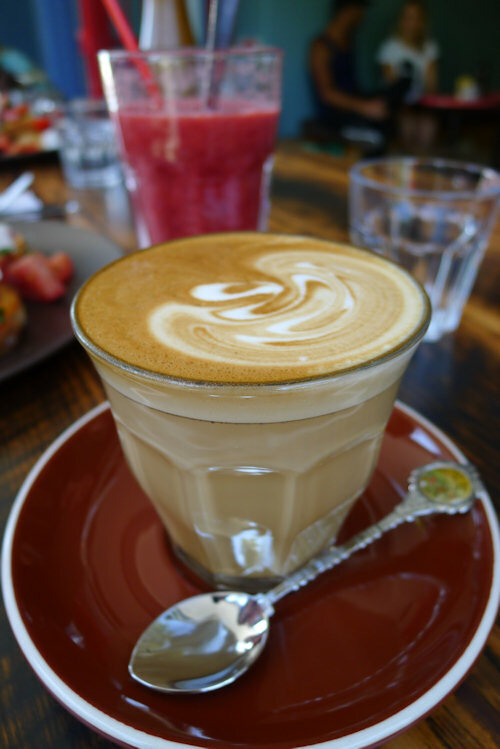 The flat white ($3.50) was well presented and delicious. 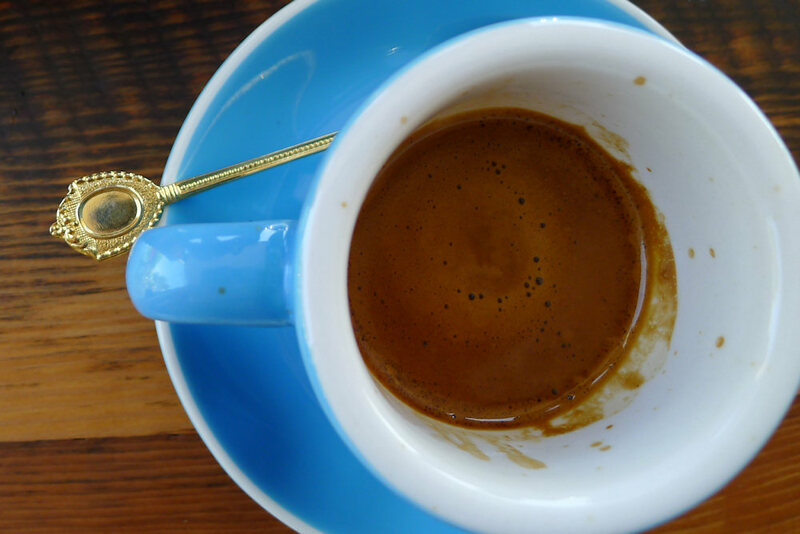 April’s espresso ($3) arrived in a gorgeous light blue cup. It provided the necessary kick start to the morning and we wanted to take the cup and spoon home with us. Like Avenue Rd café in Mosman, each of the teaspoons were collector’s items, each with individual charm. 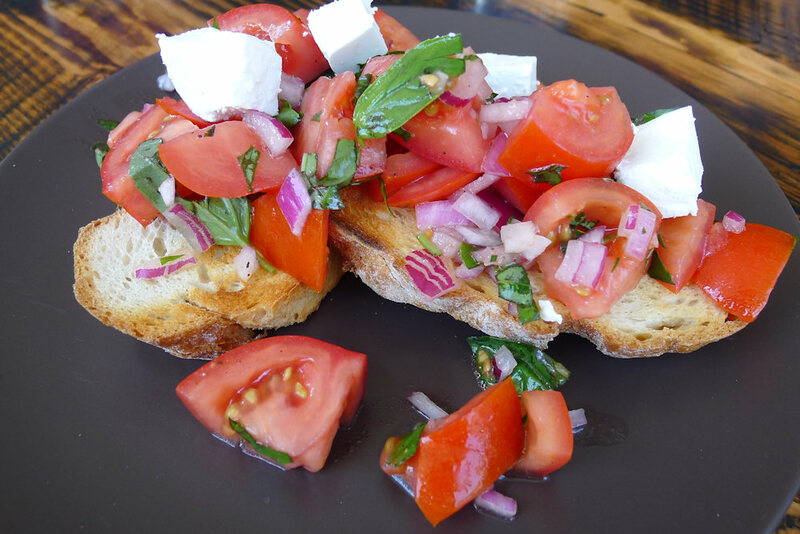 Two of our guests ordered the Bruschetta with basil, tomato & feta ($8) which looked amazing. The onions weren’t overpowering, the feta was soft and the basil and tomatoes were really fresh. The portions were generous but there wasn’t a scrap left on the plate by the end of the meal. 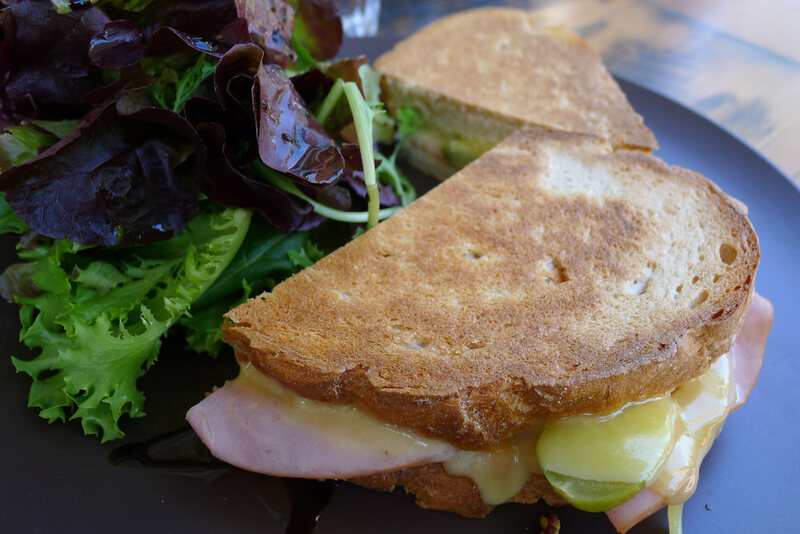 While Dane was hoping to find something more substantial on the menu, the ham, cheese, mayo, mustard & pickle toastie ($7) seemed like the most filling item on offer. The bread used for the sandwich was from Bronte Bakery and was dense and flavoursome. The ingredients worked extremely well together with the mayonnaise and pickles providing some moistness. The accompanying salad consisted only of leaves (cherry tomatoes would have worked brilliantly) and balsamic. 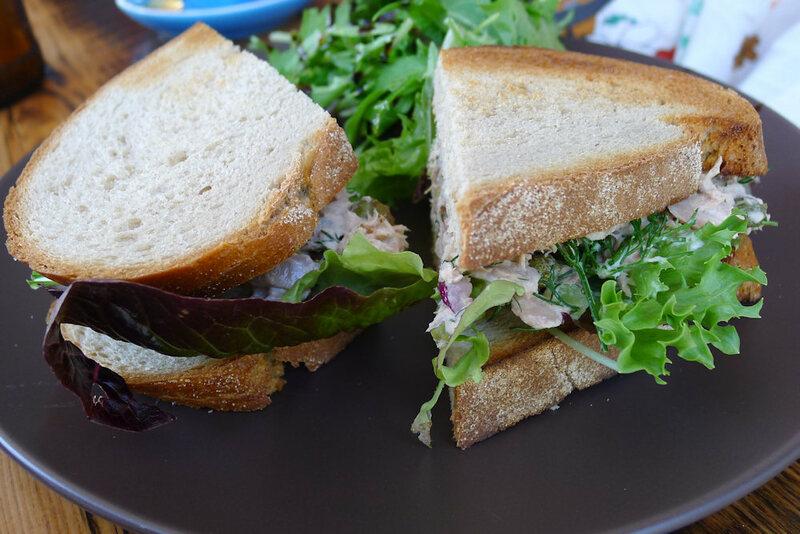 April ordered the fancy tuna sambo on rye ($8) which contained capers, dill, mayo and a side salad. The portion was generous and the tuna mix was fresh and delicious. The bread was not rye as promised but rather sourdough. April liked the side salad as it was which contained a splash of caramalised balsamic vinegar. Andrew enjoyed the avocado & lemon ($7). 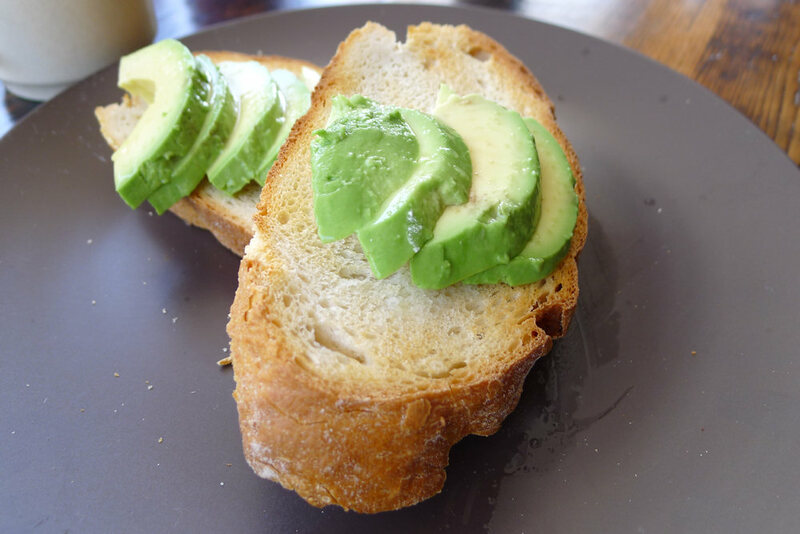 The avocado was soft, fresh and was the perfect amount to satisfy our guest’s hunger. An adjective that kept popping up in this post was ‘fresh’. Although limited, the menu had some great items listed and were all done well. We would like to make another visit to Belljar in the future to see how it develops and to sample items from a larger menu. If you visit on a Saturday between 1-5pm you can visit ‘Wonderland on Alice’ the antiques store next door. Otherwise you can wander up to King Street to browse in an eclectic range of stores such as ‘All Buttons Great and Small’, ‘Afghan Interiors’, ‘RetroSpec’d Clothing’ or ‘Envision 54, Retro Furniture’. Sydney Park is also close by so if the weather is nice, pack your bike and a picnic rug for a pleasant afternoon outdoors. We have updated the article, thank you and sorry for any damage caused. FYI we’ll be returning to Belljar for a rereview. 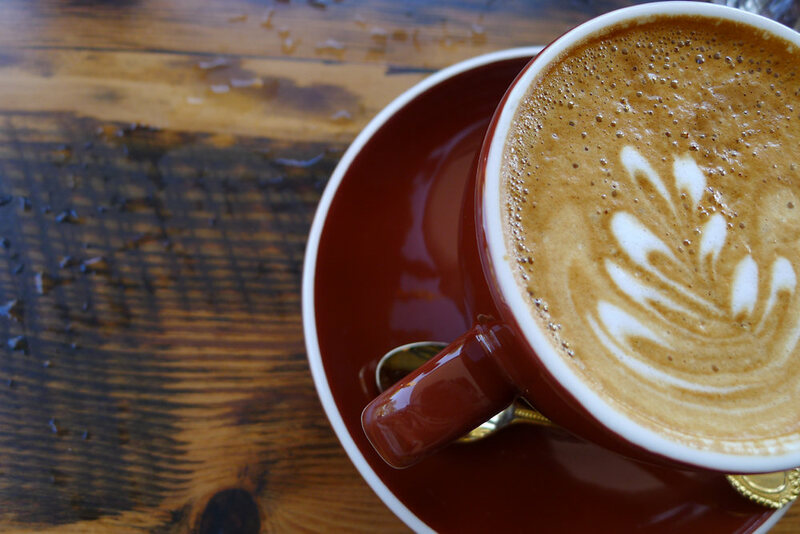 Do you have any cafes you’d recommend we visit?